The future is bright for high school students in Capistrano Unified School District (CUSD). 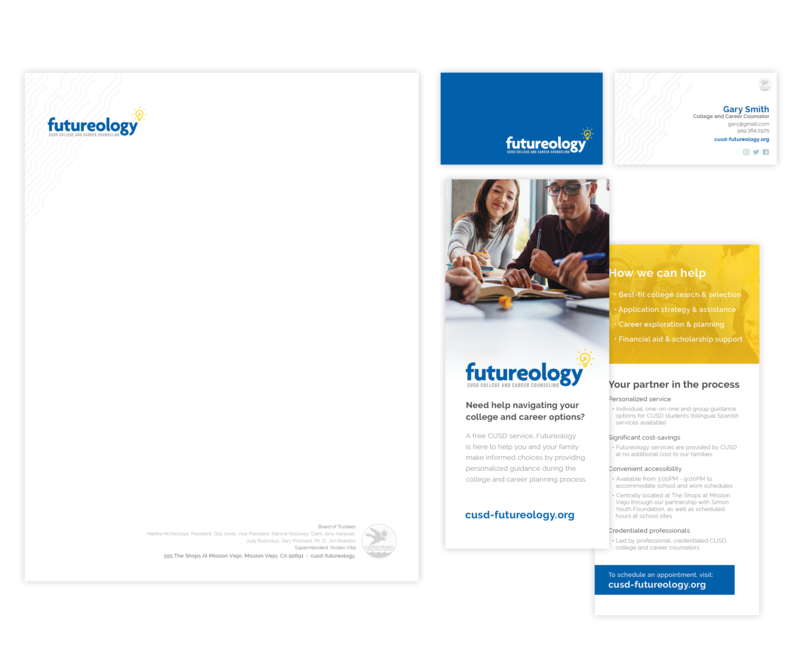 Whether it’s planning for college or establishing a career, CUSD has an incredible resource called Futureology to guide them through these critical decisions. Album was tasked to consult on the strategic positioning of the brand, then develop the logo and brand identity, which has a “retail” location at The Shops at Mission Viejo. Five initial concepts were presented to CUSD. The chosen mark incorporates a stylized light bulb, with an arrow that mimics the filament but signals moving on with enlightenment. A vibrant yellow and blue, paired with a subdued secondary color palette, was chosen for its energy and contrast. 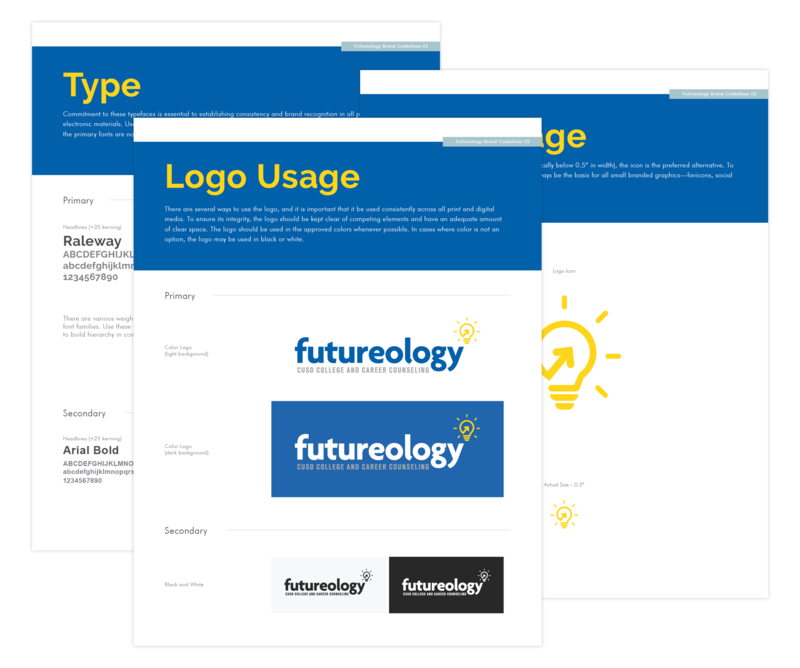 A brand style guide was produced to ensure visual consistency. Branded materials including cards and banners were designed and printed to promote the service to students.